Enjoy that light in her little eyes when she opens this gift to find she'll have an elegant ring just like Mommy. These high quality sterling silver rings come in styles that can suit any occasion and makes an excellent addition to any jewelry box. Many of our rings come with genuine Diamonlux™ cubic zirconias in their style, adding to the beauty of the ring itself, it can make any little girl feel like a little princess. Our rings are available in sizes meant for her little fingers so she can wear them while she's young. 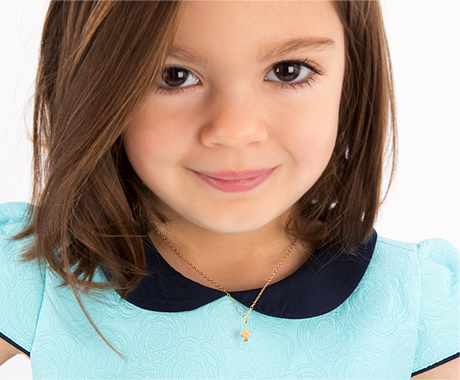 Be the favorite Aunt or Grandmother to the special girls in your life.